More about Marimekko Kaivo White / Black Lounge Pillow The funky curves of Maija Isola’s Kaivo pattern are sure to bring some style to your home. 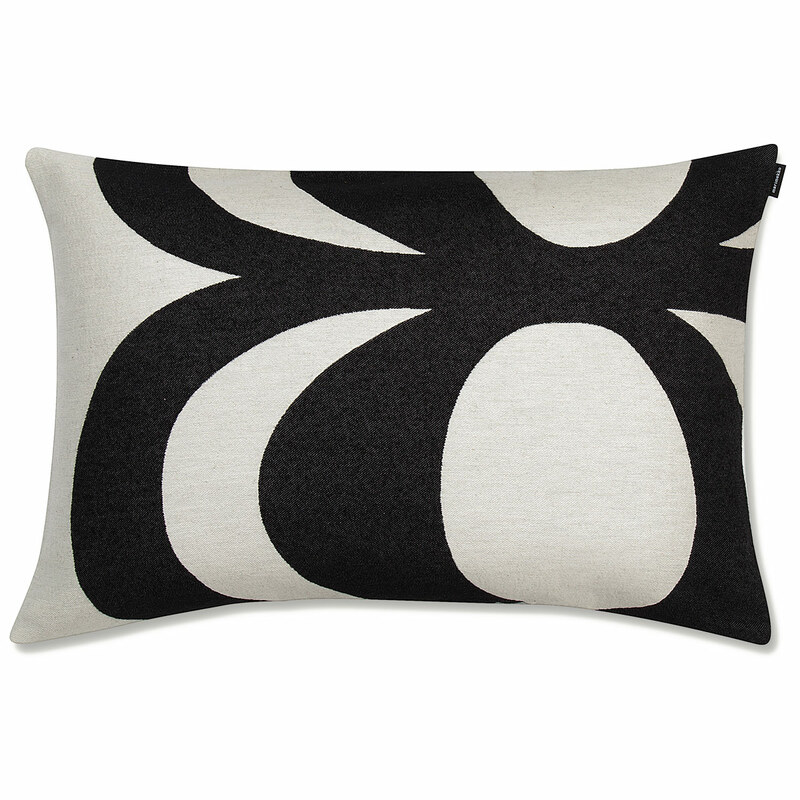 The classic white and black print will match any décor, making this lounge pillow the perfect addition to your sofa, chair or bed. Made of a cotton and polyester blend, this soft pillow cover can be easily removed from an insert and washed in the machine. The fabric is nice and soft. The color is not as solid as shown in the picture which is good ! It went very well with the Finlandia 100 th year anniversary throw.